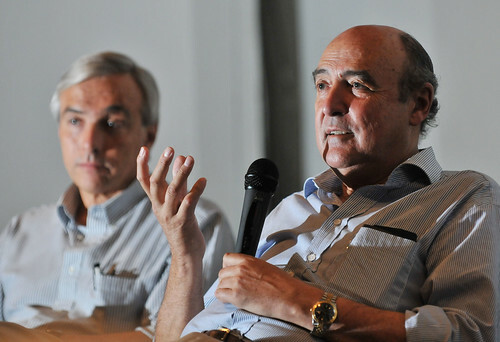 Carlos Pérez del Castillo, the board chair of the CGIAR Consortium, which was today granted international organization status (photo credit: Neil Palmer/CIAT). The Consultative Group on International Agricultural Research (CGIAR), a global partnership that brings together 15 agricultural research centers, including the International Livestock Research Institute (ILRI), from across the world, today signed an agreement establishing the partnership as an international organization. Today’s granting of the new status to the organization, which is known as the CGIAR Consortium, received wide support from donors such as Denmark and France and is expected to bolster the impact of international agricultural research for development by enabling the Consortium to more effectively carry out its mandate. The new status will also increase the visibility of the 15 research centers and their programs and strengthen links to and ties with national and regional agricultural priorities. ‘This is a major step towards a new era for the CGIAR system and towards science for a food secure future,’ said Carlos Pérez del Castillo, the CGIAR Consortium board chair, in a statement during the signing ceremony, which was held at Montpellier in France. Over the past 40 years, the CGIAR has received global recognition for being an international partnership that plays a key role in agricultural research and generating knowledge to the benefit of smallholder farmers. CGIAR research aims to reduced rural poverty, increased food security, improve nutrition and health and sustainably manage natural resources. Read more in News from the Consortium. Dieter Schillinger, member of the board of trustees of the International Livestock Research Institute (ILRI), has been awarded the 2010 Wilhelm-Pfeiffer Medal of the Justus-Liebig University in Giessen, Germany, to honour his 'outstanding contribution and service to promote research and innovation in veterinary medicines'. The medal is awarded annually by the German university's faculty of veterinary medicine to people who have provided outstanding services to veterinary medicine. Schillinger, a doctor of veterinary medicine, received the award on 16 July 2010 during a graduation ceremony at Justus-Liebig University. German-born Schillinger is based in Lyon, France, where he has served the pharmaceutical company Merial as Head of Public Affairs for Europe, Middle East and Africa since 2006. He is responsible for government relations and the management of Merial’s activities in the political and public policy arenas. Merial is a world-leader in animal health with a proven track record in producing pharmaceutical products and vaccines for livestock, pets and wildlife. For further information, please see the following news release (in German). US Secretary of State Hillary Rodham Clinton yesterday (16 June 2010) named Jo Luck, President of Heifer International, and David Beckmann, President of Bread for the World, co-winners of the 2010 World Food Prize for spearheading two of the world’s foremost grassroots organizations working to end hunger and poverty. In awarding the World Food Prize to Jo Luck and Beckmann, the World Food Prize Foundation is honouring not only these extraordinary individuals, but also the central role of non-governmental humanitarian organizations generally in mobilizing and empowering everyday citizens to end hunger worldwide. David Beckmann has been head of Bread for the World — a collective Christian voice to end hunger — since 1991. Beckmann has marshalled some quarter of a million constituents to legislate for changing policies, programs and conditions that allow hunger to persist. Jo Luck has built Heifer International, founded in 1944 and headquartered in Little Rock, Arkansas, into one of the world’s premier hunger-fighting non-profit organizations. Her organization provides farm animals to extremely poor families, and in so doing, helps those families to become self-reliant. Since becoming CEO of Heifer in 1992, Jo Luck expanded both the scope and impact of Heifer’s battle against hunger and poverty. 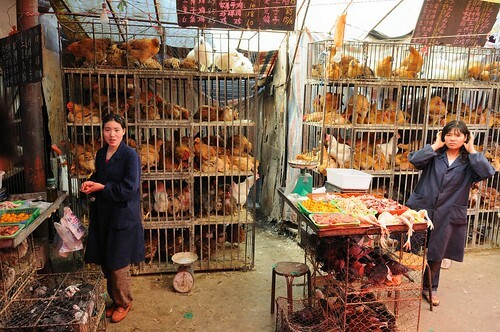 To do this, she and her staff have worked with many local and global partners to institute animal husbandry policies, systems and practices that help people improve their lives. One of Heifer’s partners is the Africa-based International Livestock Research Institute (ILRI). Jo Luck has served on ILRI’s board of trustees and her organization works with ILRI on a project to lift one million people in East Africa out of poverty through improved small-scale dairying. Jo Luck has provided more than 30 kinds of farm animals—from bees to water buffaloes — along with trees, seeds and training — to families in desperate need of assets with which to build sustainable livelihoods. She has increased the number of long-term supporters of Heifer from 20,000 in 1992 to more than 500,000 in 2009. Her organization’s outreach has helped 12 million families –1.5 million families in 2009 alone — to put nutritious food on their tables while also helping to feed others through Heifer’s Passing on the Gift, which asks every family that receives an animal from Heifer to give one of its female offspring to another family in need. Jo Luck's leadership at Heifer is characterized by full engagement of the hungry families and communities her organization works to benefit. And she has worked tirelessly to ensure that the American public has a better understanding of global issues, and the appropriate roles America and its people can play on the global stage. Heifer now has a broad and innovative portfolio of educational strategies promoting such understanding among its many US supporters. In particular, Jo Luck has raised public understanding of how life choices made by people in rich countries affect people living in chronic hunger and severe poverty. 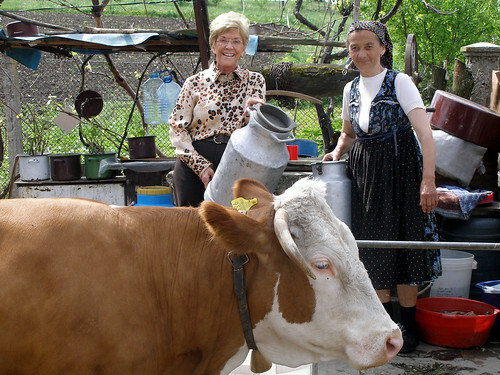 To complement Heifer’s Passing on the Gift tradition, Jo Luck created an enabling framework, Cornerstones for Just and Sustainable Development, that imaginatively joins concerns for human nutrition and spiritual growth to management of animal and natural resources, gender equity, leadership and organizational and business development. By placing animals and knowledge directly in the hands of farmers, Heifer has empowered millions of people, particularly women, to convert these assets into foods, jobs and incomes. A lasting legacy Jo Luck’s leadership of Heifer appears to be engaging aid donors and recipients alike emotionally as well as economically, which has proved to be a potent combination that provokes humanitarian action as well as visionary thinking. Starting at Heifer as Director of International Program from 1989 to 1992, Jo Luck then served as president and CEO of Heifer International from 1992 to 2010. Earlier this year she stepped down as CEO and will remain president until 2011. She is writing a book about her experiences with the organization. The 2010 World Food Prize will be formally presented to Jo Luck and David Beckmann at a ceremony at the Iowa State Capitol on 14 October 2010, which will be part of a 2010 Borlaug Dialogue that starts the previous day. The theme of this year’s Dialogue is ‘Take it to the Farmer: Reaching the World’s Smallholders.’ Among the dignitaries who will make keynote presentations at the Dialogue are Kofi Annan, Chairman of the Alliance for a Green Revolution in Africa and 2001 Nobel Peace Prize Laureate; Howard Buffett, American philanthropist; Prabhu Pingall, Deputy Director of Agriculture at the Bill and Melinda Gates Foundation; Thomas Vilsack, US Secretary of Agriculture; and Carlos Seré, Director General of the International Livestock Research Institute. Seré will speak on the value of livestock in smallholder agriculture. Further information about the Laureate Award Ceremony and symposium can be found at The World Food Prize. Seldom has the world experienced a more dramatic demonstration of the interconnectedness of the modern world. Like the volcanic dust that since 14 April has spewed and spread from southern Iceland south and east over the upper airspace of northern Europe, air flights, and more than one million travelers and their planned activities, were suspended. Three men who have likely not had three consecutive unplanned days for more than three decades were trapped by these unprecedented events for three glorious sunny days in Ethiopia’s highland capital of Addis Ababa. The three, all with veterinary backgrounds, are members of the board of trustees of the International Livestock Research Institute (ILRI), which had just completed its 33rd meeting on ILRI’s large leafy campus in Addis. They had just signed an agreement for ILRI to join a new Consortium of International Agricultural Research Centres, signaling a new phase in the nearly four decades of operations of ILRI and its two predecessors, the International Laboratory for Research on Animal Diseases and the International Livestock Centre for Africa. Knut Hove, Rector of the University of Life Sciences in Norway, was trying to fly back to Oslo. Jim Dargie, chair of the program committee of ILRI's board, was trying to get to his home in Austria. Dieter Schillinger was trying to get to Lyon, France, where he heads public affairs at Merial, one of the world’s largest animal health companies. All three men took this remarkable occasion to get out and about in Ethiopia, first taking a day trip into the farmland countryside. This was the first time many staff had seen these men in jeans and other casual wear. And it was the first for many to have extended, relaxed conversations with them. Indeed, many things during these abnormal days seemed hyper normal on ILRI’s Addis campus. We will never know the full human costs of this volcanic eruption near the Arctic Circle, far from most human habitation. But we at ILRI already have quick and ready evidence of some of its human benefits. For once, the ILRI research community was forced to slow down, with many staff and board members experiencing enough time to take time with, and for, one another, getting to know each other better and in new ways. We would not go so far as to say that the busy ILRI community managed to approximate the civilized ‘slow time of the plough’ in the great livestock-keeping communities that ILRI’s research serves here in the Ethiopian highlands. But in the unexpected space that opened up this week, it did appear that ILRI took a moment to take a breath—and take stock, as it were. This was doubly fortunate as ILRI’s scientific team leaders are now in the thick of marathon writing tasks as they prepare white papers on the roles of livestock research for ‘Mega Programs’ being fashioned by the new Consortium of International Agricultural Research Centres, which works to enhance agricultural livelihoods and lives in poor countries of the South. Much about these new global and long-term Mega Programs, and the roles of livestock research in them, apparently will be determined over the next two to three weeks. Much thus appears to be at stake for this research community and its many partners and beneficiaries. It would thus appear advantageous that an icy volcano far to the North should have erupted when it did, giving members of the pro-poor international agricultural research community pause before embarking on their speedy development of frameworks for new research programs with and for countries of the South. For when all the drafts of all the white papers being developed are finalized, and when all the hard choices are finally made about what research will be funded and what not in the new Mega Programs of the new Consortium, one factor will have remained unchanged—that is the human factor. The volcanic pause this week serves to remind us that who and how we are for one another in this large and diverse community of agricultural scientists is likely to matter far more than what ideas we get onto paper, and embedded into proposals, over the next few weeks. On 10 April, we interviewed ILRI Board Chair Knut Hove, from Norway, and Program Chair Jim Dargie, from the UK. HOVE: In the last year media attention on livestock ‘bads’ has gone away in Norway. It has not had an impact on meat production in Norway. My country’s strategy to use the whole country, and we are located so far north, with such large grasslands, that ruminants will always have a place there. DARGIE: In the UK, people are still questioning why so much of our crop area should be used for producing food for livestock. They have concerns about using so much energy for this in this era of climate change. Questions are being raised by the government about what should be its appropriate response to meet the rising meat requirements. There is going to be greater emphasis on home-grown food production to lessen the greenhouse gas emissions due to transporting foods. Bear in mind that people in our countries are overfed, and in that context, meat production is often seen as a public bad. HOVE: On the other hand, in our countries diets like the Atkins are very popular, which encourage you to eat more protein and less carbohydrates. In Norway, the focus of most people’s concerns are the high levels of methane produced by industrial livestock production practices and the treatment of animals in these intensive systems, such as raising battery chickens and using feedlots for beef cattle. In the Scandinavian countries, we haven’t reached this industrial level yet—we tend to have small, family run farms that make use of grazing and grass production. We have strict controls on how many chickens or cows a farmer may raise. Norwegians are given many incentives for practicing small-scale sustainable agriculture. DARGIE: What’s going to suit one country is not going to suit many others. Many rich countries have turned food production into big business—they are producing food to sell elsewhere. And this is depressing incentives for sustainable agriculture elsewhere. The question is, if we include the costs of environmental services, are these rich food producers really efficient? One of the problems at the moment is putting a dollar sign in front of environmental services, or environmental bads. That is a big big issue. And how we cost factors will vary enormously from one country to another. HOVE: Many researchers are working to get these figures. We in the developed world have lived on polluting and we have had strong economic growth. Now we have to pay for that. Now we have to pay for our wealth by cleaning up. That’s the chance for developing countries. Today the spotlight is on European partners in livestock biosciences for development. European donors and research institutions working in partnership with ILRI and other CGIAR Centres to speed up agricultural development in poor countries will be highlighted at a breakfast meeting at the 2005 World Bank Sustainable Development European Forum entitled ‘Managing Ecosystems and Social Vulnerabilities in the 21st Century: Towards a More Secure World’, to be held in Paris on 14-15 June 2005. The Forum provides an opportunity to update European bilateral donors on the strategy and work program for the World Bank’s Environmentally & Socially Sustainable Vice Presidency. A significant portion of the agenda is reserved for in-depth, issues-based break-out sessions. Examples of ILRI projects with European partners are summarized below. In 1998, with funding from Ireland Aid and other European donors, the Africa-based International Livestock Research Institute (ILRI) teamed up with Trinity College, Dublin, to analyse the genetic diversity of indigenous African cattle populations. This project completed molecular diversity datasets from the two centres, unravelled the genetic make-up of African cattle and identified priority cattle breeds for conservation or utilization for the benefit of the farmer communities. The project also helped nations develop strategies for conserving these animals and broadening their use. The project supported evidence that the African continent was a likely center of origin of cattle pastoralism. The latter award-winning research, published in the leading research journal Science, raised awareness of the genetic wealth of Africa’s indigenous cattle populations. African countries are now taking steps to conserve, characterize and make better use of them. The East Coast fever vaccine project is an initiative funded by the UK’s Department for International Development (DFID) to design and disseminate a bio-engineered vaccine against a parasite that kills cattle across eastern, central, and southern Africa. A complex set of partnerships between public and private sectors across several continents, including the International Livestock Research Institute (ILRI), in Kenya, the Ludwig Institute for Cancer Research, in Belgium, and the University of Oxford, UK, has played an important role in moving the science forward. The multinational veterinary pharmaceutical company Merial, headquartered in France, is helping to produce the vaccine for trial and will be responsible for the delivery of the vaccine among poor countries. A high degree of complementarity exists between the major partners. ILRI has reached an advanced state of research on the protozoan parasite that causes East Coast fever, bovine immunology and the economic impacts of the disease. Merial produces the vaccine candidates and has been working with Oxford on novel delivery system with potential spin-offs for other human and veterinary vaccines. The project is an example of conceiving and funding a ‘system of innovation’ within the CGIAR, one which cuts across research institutions in new ways, building capacity across the widest possible spread of partners, including NARS. In late 2003, with funding from Austria, scientists from the Africa-based International Livestock Research Institute (ILRI) and the BOKU University of Natural Resources and Applied Life Sciences, in Austria, launched a project to identify indigenous selection criteria and genetic diversity in African longhorn Ankole cattle. The results of this project will improve and sustain the livelihoods of poor Ankole cattle keepers in the four East African countries where these unique cattle are found: Uganda, Burundi, Rwanda and Tanzania. Specifically, the project is facilitating community-based delivery of technical interventions that are genetically improving this breed to meet the needs of their pastoral owners. In the process, the project will help the pastoral communities sustain their environment and culture as well as the genetic diversity of their breed. Indigenous knowledge of animal husbandry and breeding are being captured, as well as selection criteria used by the pastoralists to assess intangible values of their unique Ankole genetic resources. In late 2004, the Swiss Centre for International Agriculture (ZIL) began funding a project conducted jointly by the Swiss Tropical Institute (Basel), Pevion Biotech (Bern), and the International Livestock Research Institute (ILRI, Nairobi), to develop an anti-tick vaccine to control ticks and tick-borne diseases of tropical cattle. Current tick-control methods rely on regular treatments of animals with acaracides, which kill the ticks. Development of an anti-tick vaccine is one of the most promising alternatives to chemical control, being much safer for the environment and human health. The only commercial vaccine against ticks currently on the market, based on a hidden tick-gut antigenic molecule, requires a series of inoculations to boost the vaccine’s effectiveness. This project is developing a novel antigen-delivery system for use in cattle using virosomes. The aim is to improve the efficiency, handling, user friendliness and cost of the existing vaccine for smallholder farmers. The technology platform developed for the new vaccine may be applied in future against a range of livestock diseases.